Today’s App Review is Build-A-Card – Mother’s Edition by ISBX. 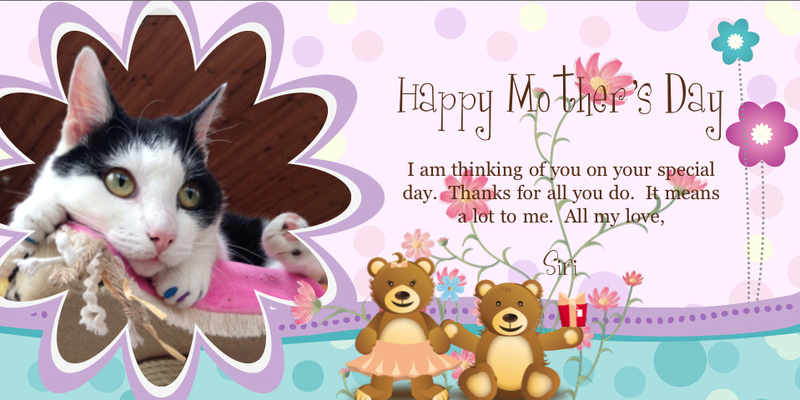 So if like me you were too late to create and order a personlised card like those in Cards App which I reviewed yesterday I would definitely recommend trying out Build-a-Card Mother’s Day Edition. For 89cent the App allows you to insert a picture of your choice from your cameral roll or Facebook and also allows you to take a new one. There are 20 different card templates to choose from and each one is different and original so if sending multiple they can be guaranteed to be different. After choosing your photo and template you can then add different clip-art with choices given from adding flowers to chocolates or even teddy bears. After all this is done you can also add your own text. What is handy is that the App gives you default text and all you have to do is rewrite or just edit the names. This is perfect for anyone who is stuck for words. After your card is complete you can choose to share it via Facebook or Twitter, save it to your camera roll or email it. Given all the different features I think this is a great deal for 89cent and hadn’t expected so many different options. Build-a-Card also have Apps for different occasions such as Christmas, Birthdays and Easter and having tried this one I will definitely consider those in the future. To get the App you can download it from HERE and I hope everyone has a Great Mother’s Day. App Review – WhatsApp Messenger.